John H Haynes OBE the creator of the Haynes manual, passed way on Friday 8th February. I feel sure we have all used one of his manuals at some time and many of us have still got a copy of his book Building A 750 Special. He leaves a great legacy and, by all accounts, a life well lived. 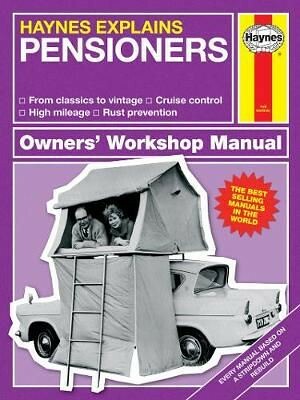 I thought I might find this Haynes manual useful for some self examination. Mr Haynes was still Chairman of the company when the editorial group decided to commission me to write a book. I might not have made a penny piece from the project, but to be involved in producing a full-scale book was an immense privilege. Thank you sir. A search found on my shelves the copy of "How To Build Ford Specials" published by Modern Enterprise Distributors, dated December 1959. The author's acknowledgements give his address as "Royal Air Force, Germany." Illustrations are drawings, or perhaps sketches as there is little evidence of the drawing board. Perhaps I am not the only senior forumist who, when seeing the quality of the printed book is immediately reminded of printing off club magazines, or regs for a forthcoming event, on the office Roneo printer whilst everyone else was out at lunchtime. One of my friends has this. Used it to build his first car a special based on a Ruby chassis. He completed it just as he passed his driving test and used it for some years. Current time: 19-04-2019, 07:20 AM Powered By MyBB, © 2002-2019 MyBB Group.